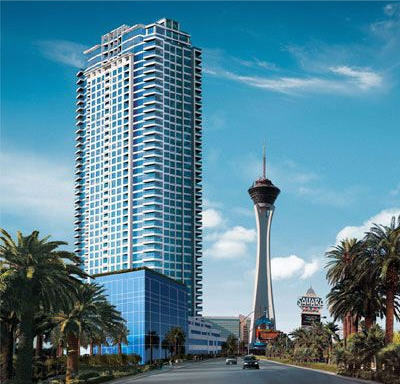 Centered by a 45-story blue-glass tower, this very exclusive development will offer spectacular views of the valley, from the glittering lights of the Strip to the colorful Spring Mountains. 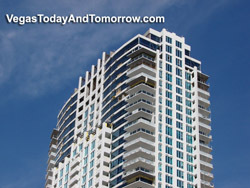 Construction has already begun, with prices ranging from $1 million to $4 million. 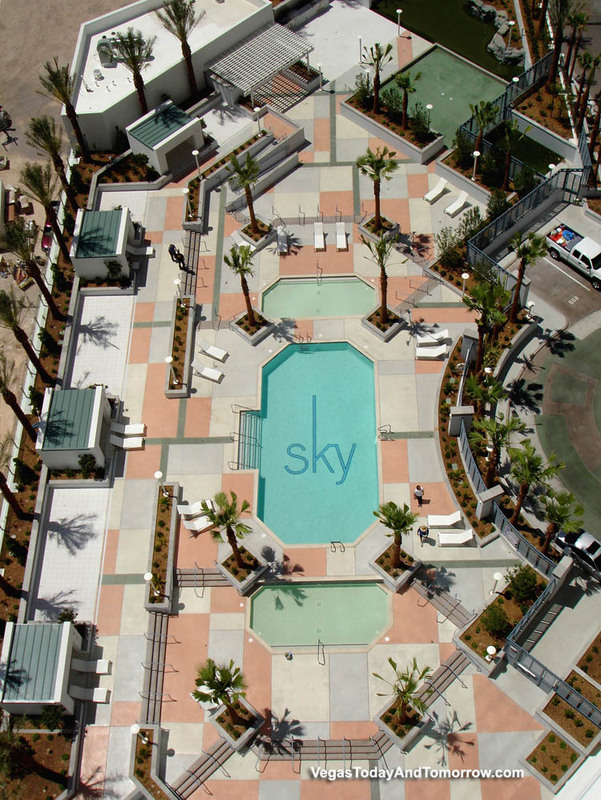 Residences range from 870-square-foot suites, and 3,300-square-foot penthouse to a 5,200-square-foof three-story SkySuite. 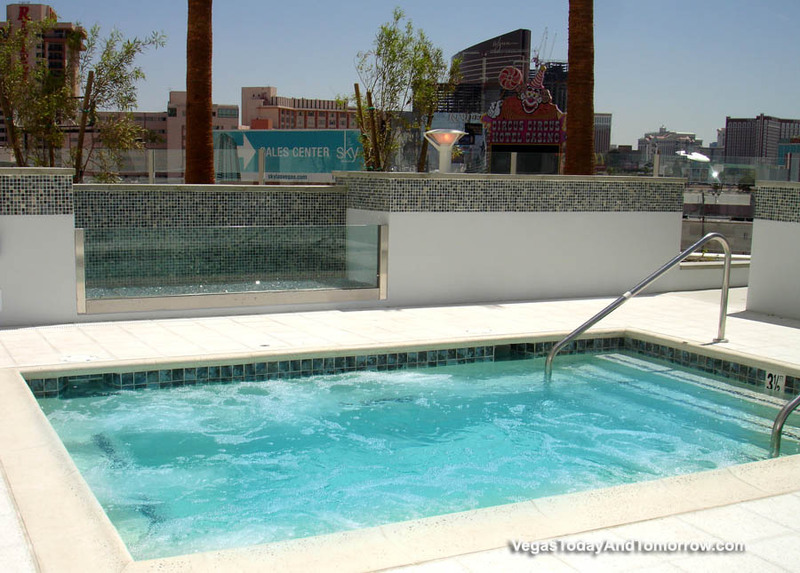 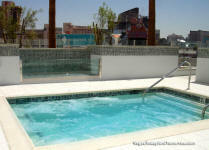 complete with private elevator, rooftop patio with a garden, and outdoor hot tub. 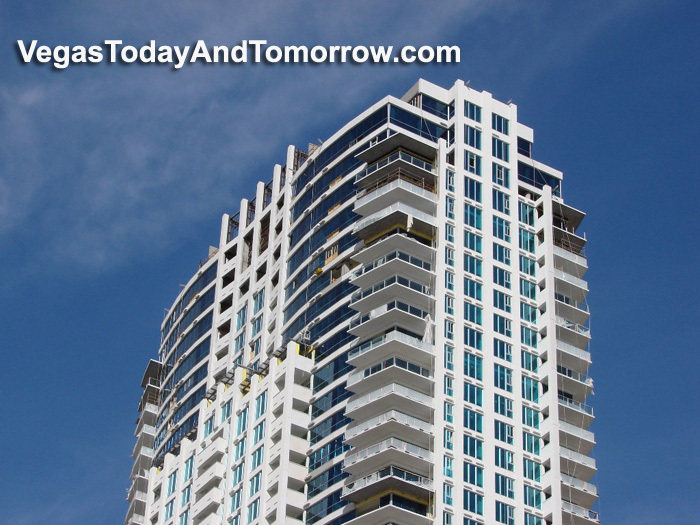 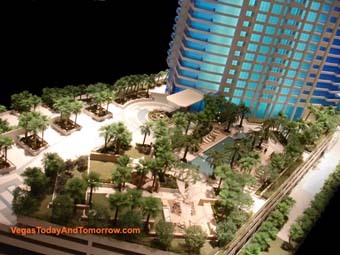 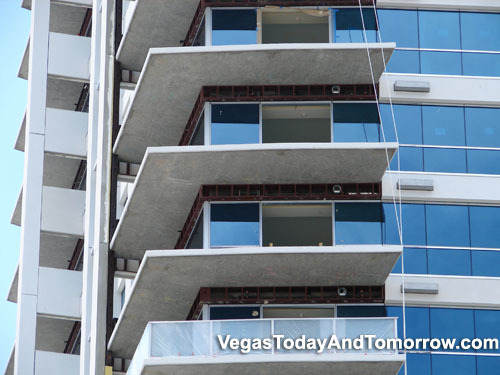 All units will include balconies. 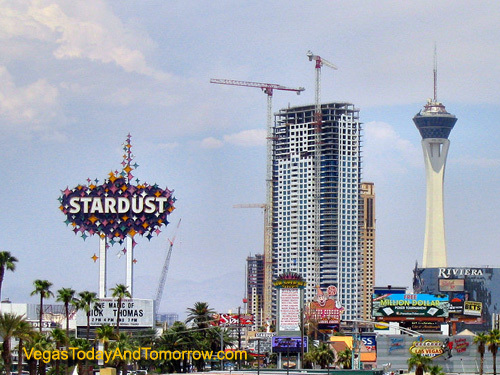 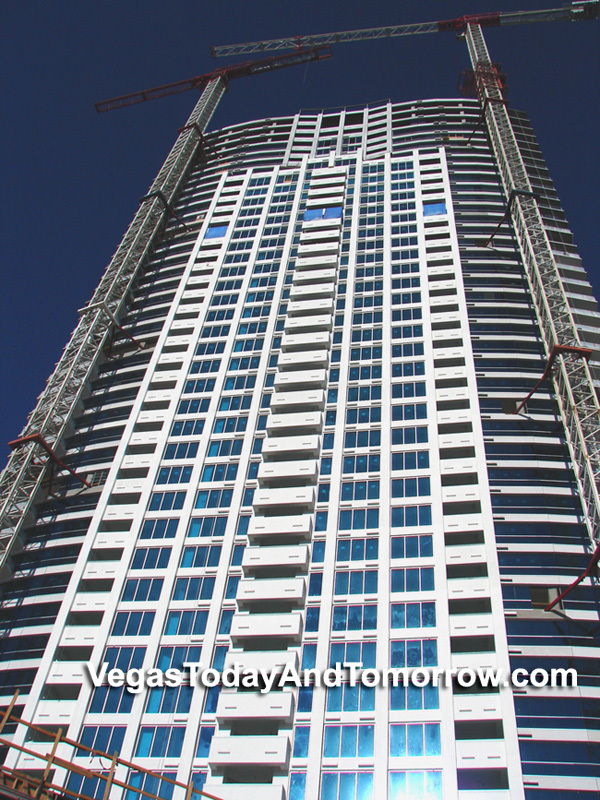 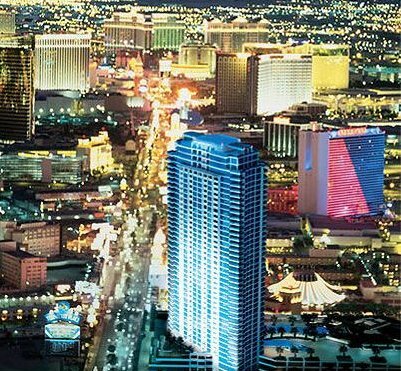 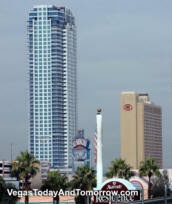 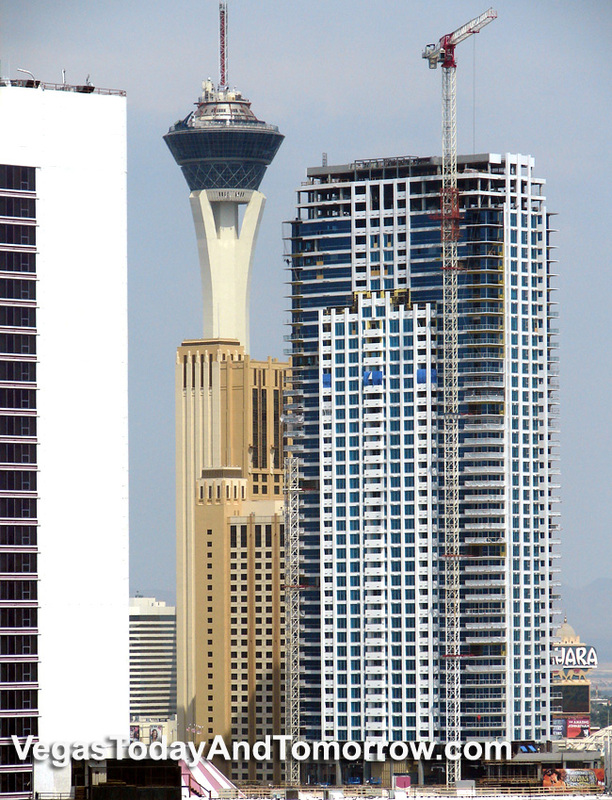 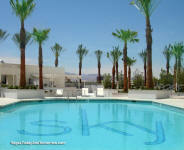 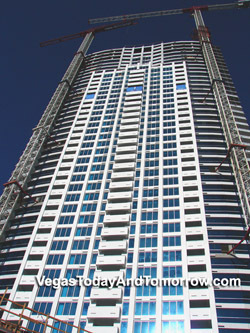 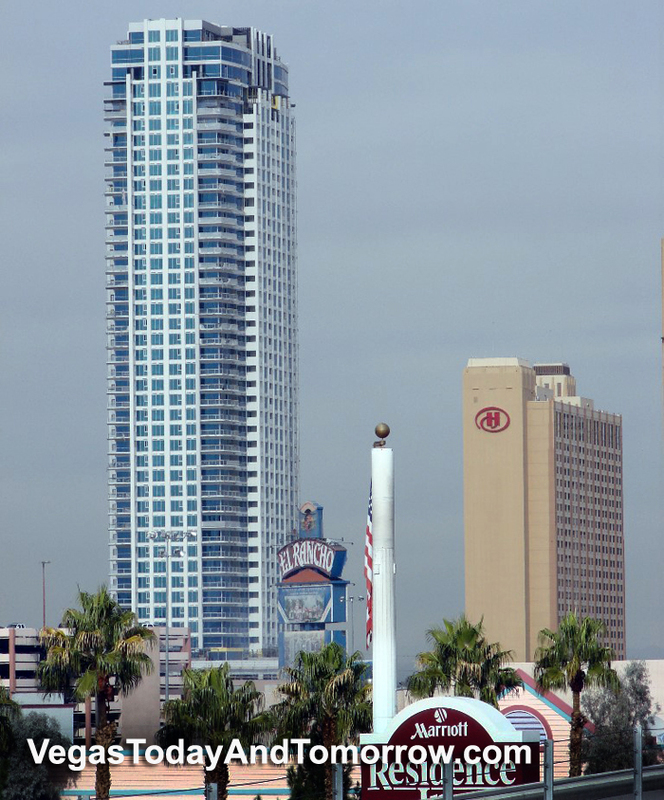 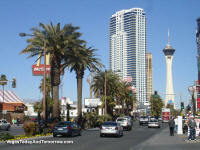 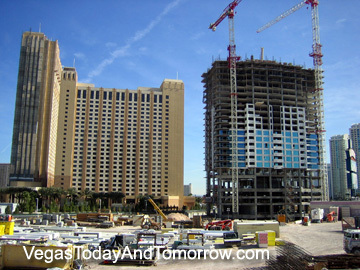 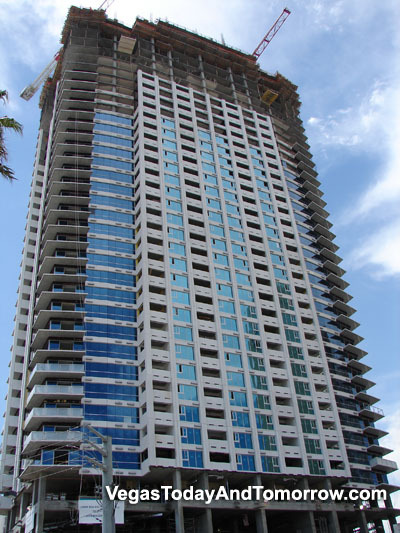 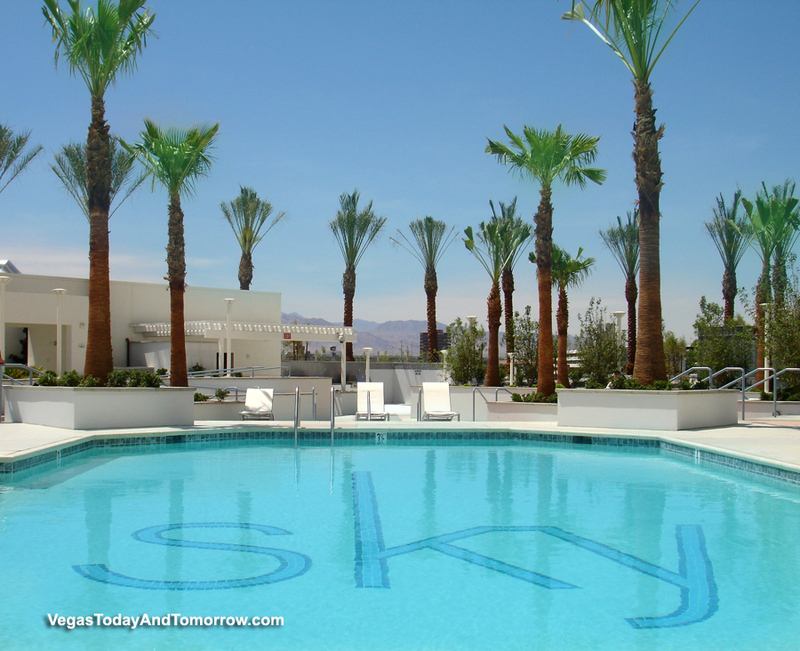 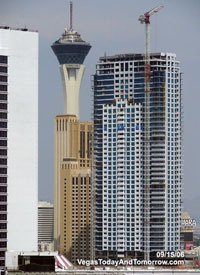 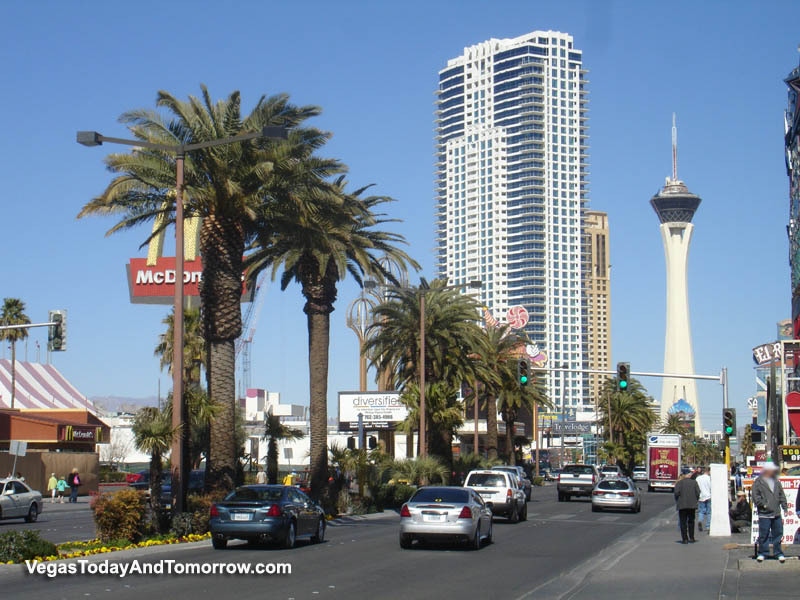 Located on Las Vegas Boulevard, Sky Las Vegas will be just south of Sahara Avenue directly north of Circus Circus. 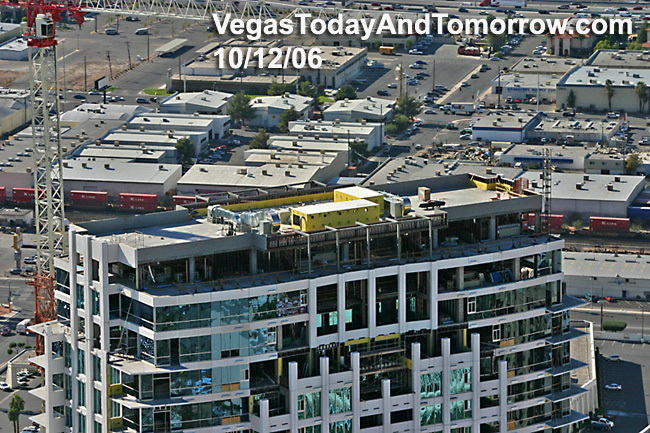 10/12/06, shows a unique view of the penthouses.